John Muir, the Scottish naturalist, author, and early advocate of preservation of wilderness in the United States, is being honoured this year with the first ever John Muir Day on April 21. John Muir has long been an inspiration to both Scots and Americans, and now the Scotland-born Father of the American National Parks is to have his own special day in the country of his birth. On April 21, 2013, the first ever Scottish John Muir Day will be celebrated, marking the 175th anniversary of his birth and paying homage to the legendary conservationist. In April 2014, tying in with the 100th anniversary of Muir's death, a new long-distance walk will also open in Scotland called the John Muir Coast to Coast Trail. The 100-mile route extends the existing John Muir Way, following a delightful pathway through fabulous Scottish countryside from the conservationist's birthplace of Dunbar on Scotland's east coast to Helensburgh in the west, close to where Muir set sail for America. It was in Dunbar, in the picturesque coastal region of East Lothian, that Muir was born in 1838. The schoolboy spent his first 10 years in Scotland, before moving with his family in 1849 to Wisconsin. Muir's schooling effectively ended when he arrived in America and, instead, he was called on to help his father to create a farm from the wilderness area in which they found themselves. 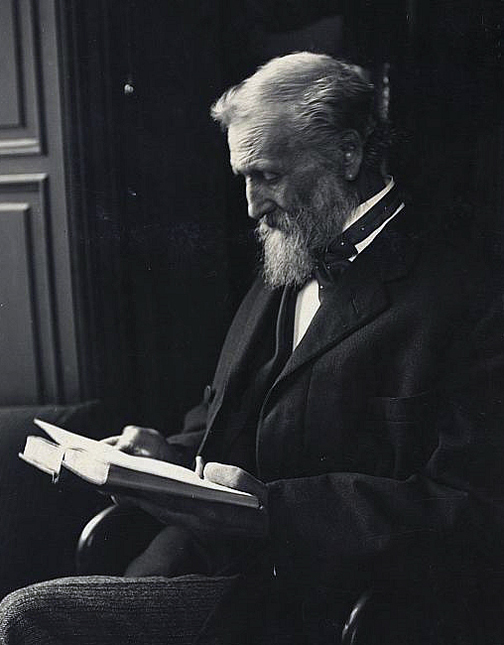 Muir was a voracious reader and was adept at self-teaching. He was also an amazing fixers of things and an inventor. For those who knew him, it was no surprise that Muir later landed himself a scholarship at Wisconsin University and went on to have an industry career, although short-lived, creating and developing machinery. But how, you might be wondering, did this lead to Muir's incredible gift to modern conservation and nature? An unfortunate incident while at work, during which a tool pierced his eye, left Muir temporarily blinded. Having the time to do little else but think while his eye repaired, Muir made the sudden decision to change his focus. He left his job and set out on his famous 1000-mile walk to the Gulf of Mexico. Unleashed from the shackles of industry, Muir made the most of his life amid America's natural splendour. He spent time in California as a shepherd and later studied and explored in the Yosemite Valley and the High Sierras. He also worked in Nevada, Utah and Colorado, and visited Alaska. It was his horror at the way that he thought others abused the natural environment that led Muir to become a high-profile campaigner for the protection of wilderness areas. He also played a major role in the establishment of America's Sequoia National Park and Yosemite National Park. The legacy of Muir's life and untiring campaigning in America has inspired generations of conservationists the world over. But Muir never forgot his roots in Scotland, either. He held a strong connection with his home country throughout his life and was frequently heard talking about his childhood spent amid beautiful and natural East Lothian countryside. He returned to Scotland on a trip in the 1890s and visited the places of his youth that were etched in his memory. While America already celebrates John Muir Day on April 21 and boasts the 212-mile John Muir Trail, in Scotland 2013 and 2014 will be very special years. Look out for a host of events encouraging locals and visitors to connect with Scotland's outdoors by exploring it, helping look after it and walking the new John Muir Coast to Coast Trail. John Muir himself would have been proud of his fellow Scots.